The introduction of HAART in 1996 completely changed the course of HIV and AIDS. This medication transformed HIV from a terminal illness to a chronic condition that could be managed by taking antiretroviral medication. Yet people who were diagnosed with HIV or AIDS in the 1980s and early-1990s—many of whom expected to die—had to rebuild their lives, peer groups, relationships, emotional health, physical strength, and careers in ways that they did not anticipate. This chapter utilises oral history to disturb popular narratives that predominantly focus on the triumph of medical developments. 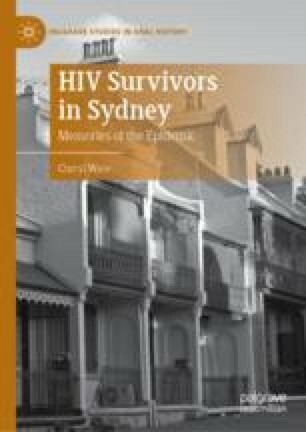 It reveals narrators’ efforts to articulate the personal challenges they faced to adapt to life with HIV as a chronic condition while acknowledging that they are among the few who survived the epidemic.